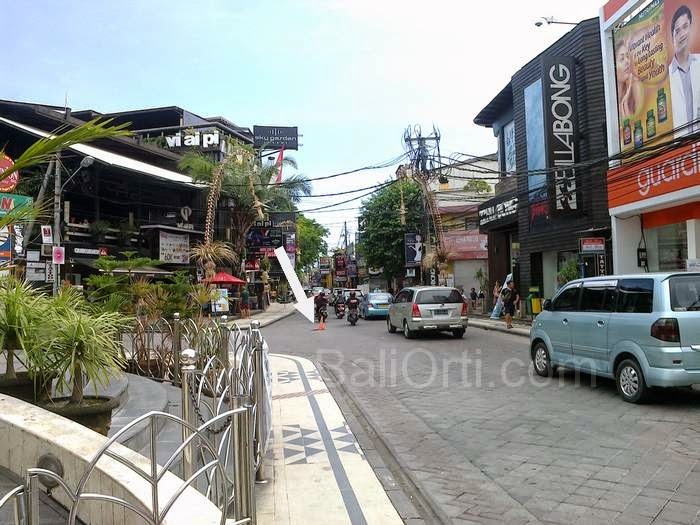 If passed in the crowded center of Kuta, the center of nightlife in Jalan Legian, exactly in front of the Bali Bombing Monument, in front of the Billabong store, there is a hole in the street. The hole is quite dangerous. If the traffic is very congested, then it will not be seen. 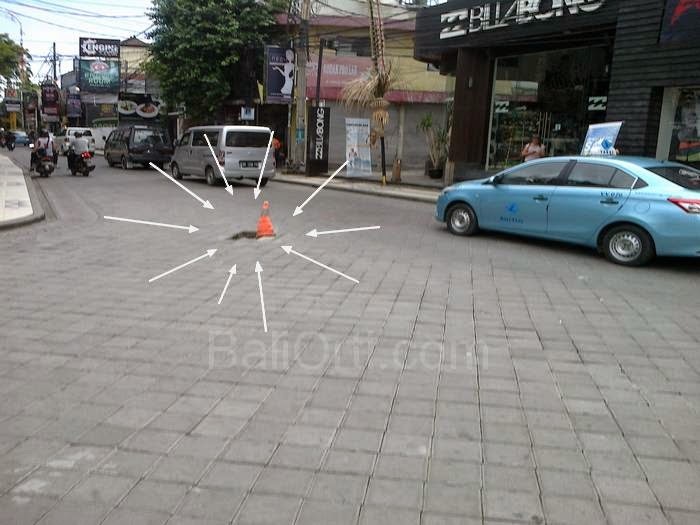 Hole in the middle of the street in Jalan Legian Kuta until now has not been repaired. Local authorities as road manager has yet to take action to close the hole. Only in marked with an orange road sign to warn motorists to be careful and not get hurt. The most dangerous is if the hole is run over by a motorcycle. Can be ascertained motorcycle grind the hole will fall. Accidents like this are very common in Bali. Hole in the middle of the road is also a matter of course be found in Bali.